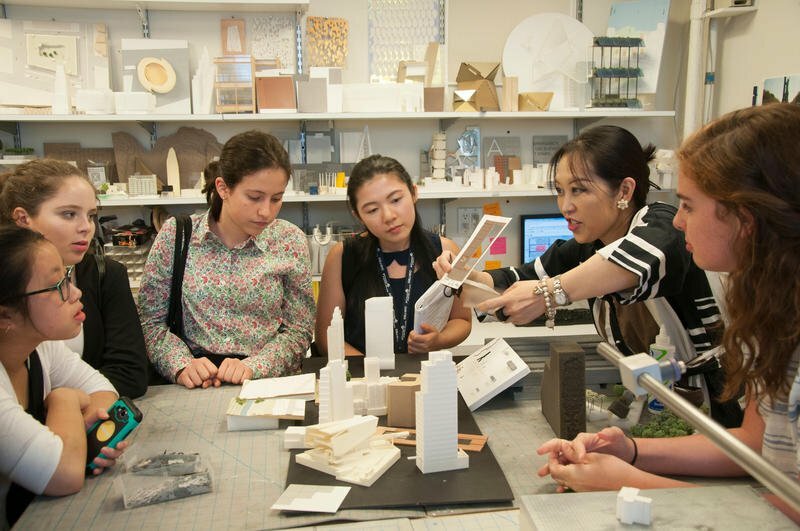 Join 6sqft and our friends at Untapped Cities for the second installment of our new joint event series where we’ll offer behind-the-scenes tours of some of the city’s top architectural and design firms’ studios. This month, we’ll be visiting architecture firm FXCollaborative, who will open up their Flatiron office space the evening of Wednesday, February 13th. Guests will be treated to a tour of the creative space and a conversation with Senior Partners Dan Kaplan and Sylvia Smith, along with Partner Nicholas Garrison, Principal Gustavo Rodriguez, and Principal/Design Director of Interiors Angie Lee. Learn about the firm’s holistic approach through current projects such as Downtown Brooklyn’s 1 Willoughby Square, 77 Greenwich Street, and the new Statue of Liberty Museum. Interested in attending? Enter our raffle for a chance to win a pair of tickets! The tour will be held on Wednesday, February 13th from 6:30-8:00pm. Start entering now! The raffle closes at 12pm on Friday, February 8th and we’ll contact the winners then!